Tura Lok Sabha constituency witnessed a high turnout of 81.30 per cent while the Shillong Lok Sabha seat recorded an unexcited turnout of 65.49 per cent, and the bye election to Selsella Assembly constituency was 92.20 percent. According to updated figures, the voting percentage in all the 36 Assembly seats under Shillong Lok Sabha constituency was between 59.32 per cent and 74.04 per cent, whereas the voting percentage in all the 24 Assembly seats under Tura Lok Sabha constituency was between 71.97 per cent and 92.20 per cent. Mawlai which is the biggest Assembly constituency, recorded the lowest turnout among Shillong Parliamentary constituency being just 59.32 per cent (26,249 voters cast their vote out of 44,252), while the highest polling was recorded in Ranikor Assembly seat at 74.04 per cent (22,908 electorates voted out of 30,927). Under Tura Lok Sabha seat, the lowest turnout was 71.97 per cent in South Tura Assembly seat (22,497 voters voted out of 31,391) while the highest turnout was 92.20 per cent in Selsella Assembly constituency where voting for the byelection was conducted together with the Lok Sabha polls. 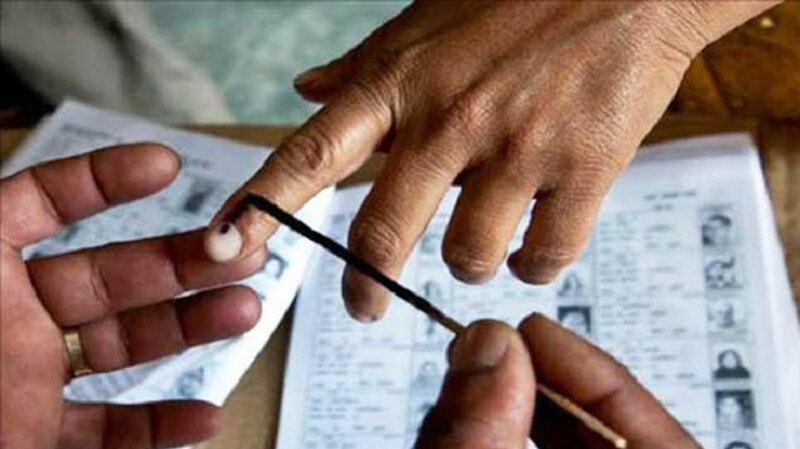 Out of 31,624 voters in Selsella, 29,157 of them went to cast their votes in both the Assembly bypoll and Lok Sabha poll. In Tura Lok Sabha constituency, 5,81,876 voters out of 7,15,709 cast their votes, which accounted to a turnout of 81.30 per cent. In Shillong Parliamentary constituency, 7,83,096 voters cast their vote out of 11,95,662 voters which resulted in a turnout of 65.49 per cent. Taking the voting percentage in the two Lok Sabha seats – Shillong and Tura – and Assembly bye election in Selsella into account, the state recorded an overall turnout of 71.41 per cent this year. There are six candidates who include sitting Lok Sabha member, Vincent H Pala of the Congress, BJP candidate Sanbor Shullai, United Democratic Party’s (UDP) Jemino Mawthoh and three independent candidates – T.H.S. Bonney, Romeo Phira Ranee and Samuel Hashah from Shillong constituency. From Tura Lok Sabha constituency, former Chief Minister, Mukul Sangma of the Congress, former Union Minister, Agatha K. Sangma of the ruling National People’s Party (NPP) and Rikman G Momin of the BJP are in the fray. From Selsella Assembly constituency, four candidates are in the fray – Ferlin CA Sangma of the NPP, June Eliana R Marak of the Congress, Sayeedullah Nongrum of the United Democratic Party and Adorsho Sangma of the BJP.